New York Times best-selling children's author Karma Wilson has won many prizes such as the National Parenting Publications Children's Resource Gold Award. 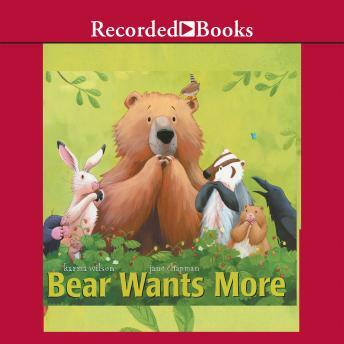 Her story Bear Wants More is a Children's Book-of-the-Month Club Featured Selection. It's springtime and Bear is waking up from his winter nap. He hasn't had any food in a long time. Bear is HUNGRY! John McDonough's exuberant narration will be loved by all young listeners hungry for a good story.